Marine, 11, is still grieving her father, a year after his death. She feels somehow that he’s still alive and that they will soon be reunited. At school, she’s become the victim of a bully, who used to be her friend. 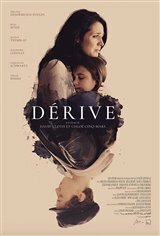 Her older sister Océane, 16, an androgynous delinquent, looks for happiness in the arms of an older man, while their mother struggles with the debts left behind by her late husband, as she tries to keep the family afloat.